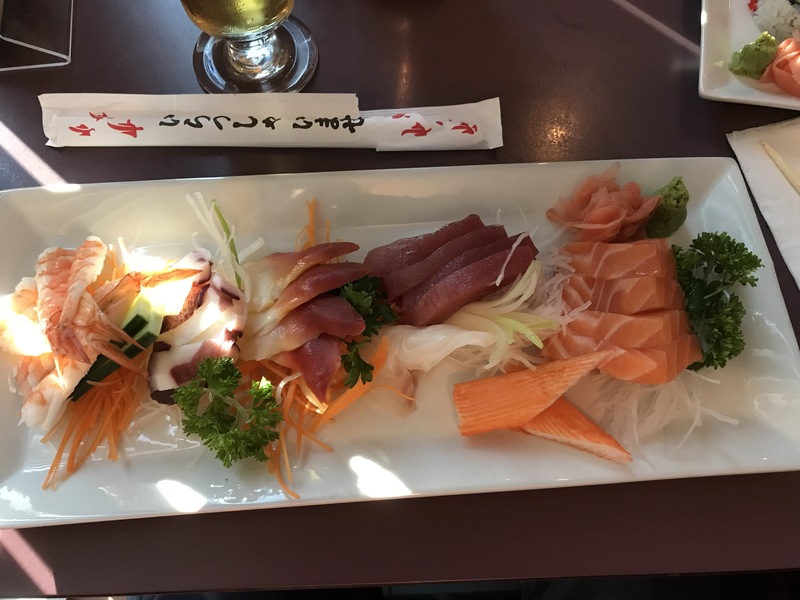 Located in Mississauga along Brittania near Kennedy, Kura Sushi is a decent place where I often go for lunch. I would not consider this authentic but it’s better than many other places and is decent with low pricing for sushi. During lunch they have quick response times making it an easy choice to enjoy lunch and make it back to work on time. I went once for dinner and they were breaking in a new server that evening. Service was painful on that night. Forgot portions of meals and was very, very slow. The manager apologized and had offered up complimentary dessert. But at that point we were full and out of patience. One of our dinner guests that evening was celebrating a birthday so this was unfortunate. After declining the offer for dessert, I suggested a break on his dinner cost instead. They agreed and discounted his meal. It’s important to note that I had to ask for this. It would have been appreciated to have this offered. Anyhow, this was the only time we had an issue. I had been several times for lunch with great service. 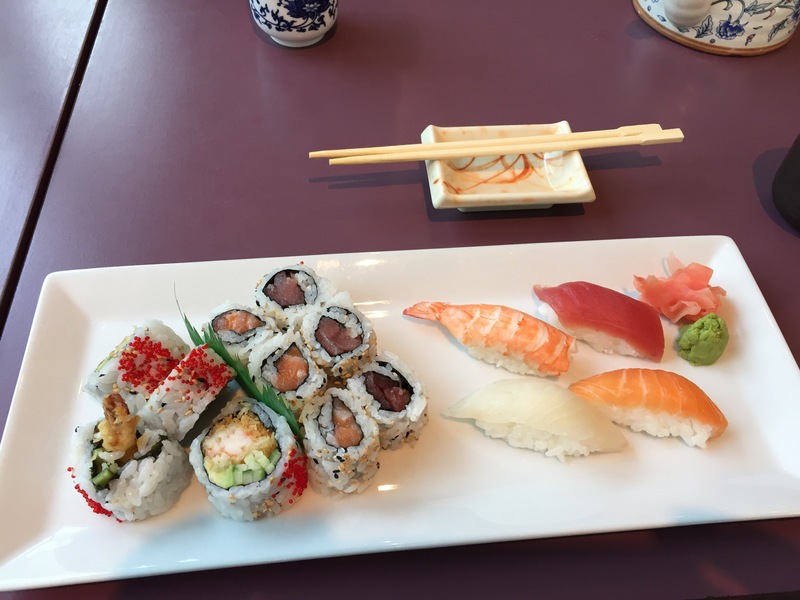 Their sushi lunch plate is nicely prepared with decent cuts of fish. 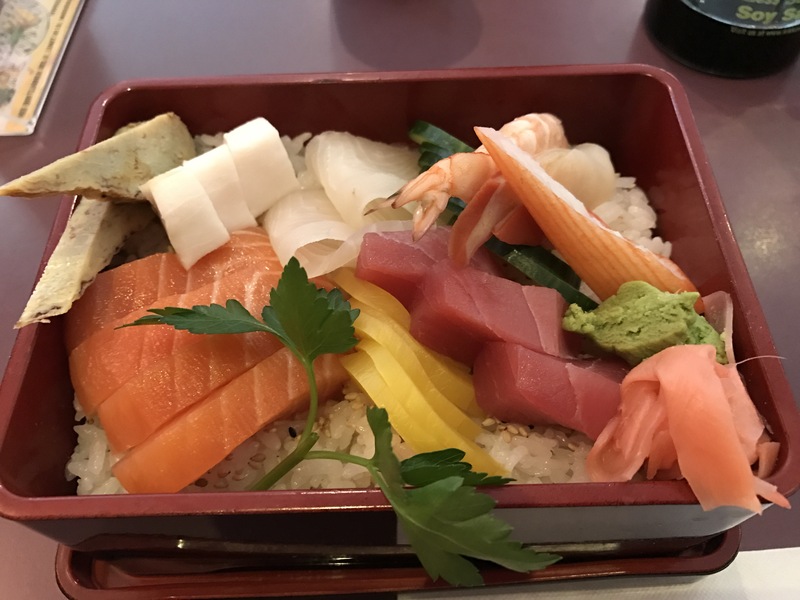 The chirashi plate is one of my favourites. Decent cuts of fish available in this region and very nicely prepared. Their sashimi plate is also quite nice. 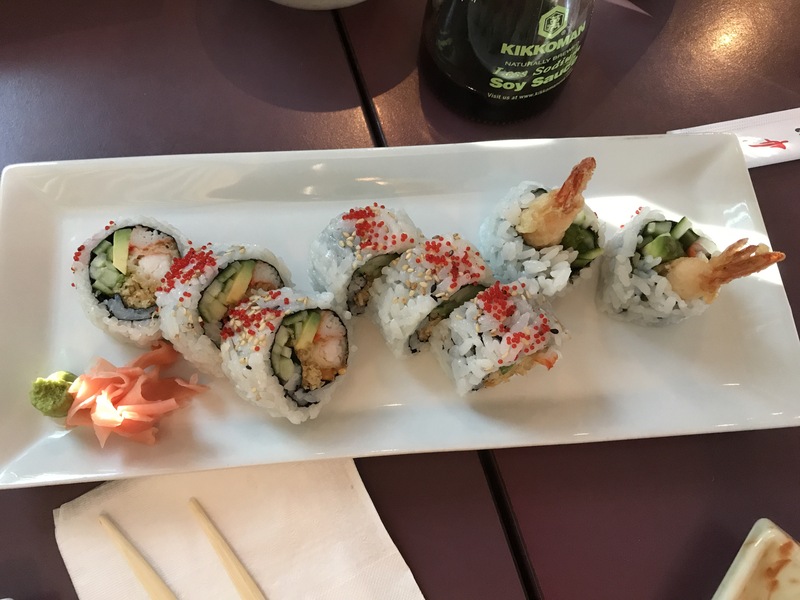 And their California rolls are also nicely prepared. Pictured here is their dynamite roll. This is a very decent place to enjoy a very affordable Japanese meal. Other than the one time, service has been very good there. This is not in the same class as Mye 2, Miyabi, Inaho and Yutaka, but is still very much enjoyable and is much better than many other places. Pricing is also lower than those places making this easier to enjoy more often.